Long long ago... in a different era of technology I was an Amiga user. Being both an Amiga user and a musician I quickly found that I could do great things with MODs when I finally sold my Amiga - I went looking for a PC replacement, but never found one... until now! First - for those that don´t know, you´re probably asking "What is a MOD" it is a digital audio sequencing format that allowed the easy creation of music on a computer using nothing but the keyboard. Songs are split into multi-channel sequences using different instruments and effects. 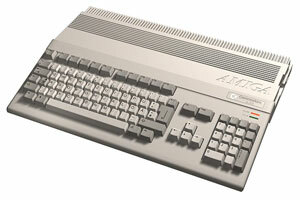 Since the Amiga was the first personal computer to have true multi-tasking and poly-phonic sound it was a natural fit. Long story short: without much else then the "Tracker" software you could create cool music that really was the birth of today´s techno - and this is Back in 1987! So what did I find? http://www.madtracker.org - finally - a PC replacement for my long lost Amiga MODs - and lo, they have made it MUCH better. The Amiga was limited to 4 voices (eventually 16) but thanks to our friendly new sound systems I can now have up to 128, add effects, and do all kinds of nifty stuff. Great! all I needed was another time chomping hobby!